Minnie Mouse sure loves her polka dots and bows. 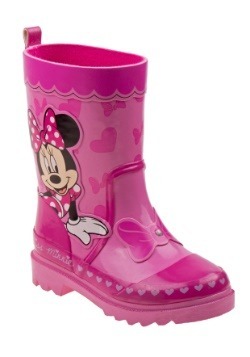 These officially licensed Disney Minnie Mouse high top girls sneakers are no exception to polka dots and bows. What kind of Minnie Mouse sneakers would these be if they didn't have polka dots and bows, plus everything girly and fun? 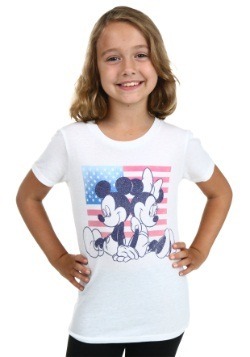 We think it is exactly what Minnie Mouse would want. What do you think? 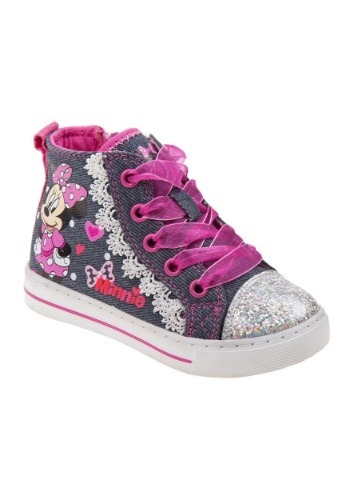 So if you've got a young Minnie Mouse fan in your life, these sneakers are just what your stylish little diva needs. No matter if you give them as a Christmas gift, for her birthday, or just because... she is sure to love them all the same! These officially licensed Disney Minnie Mouse high top girls sneakers are all glitz and glam just like Minnie herself! These fantastic sneakers are made from all man-made materials. 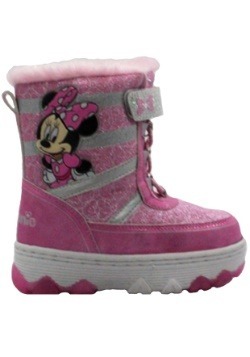 The canvas upper is decorated with lace and a print image of Minnie along with polka dots and hearts. 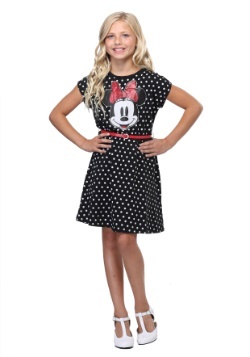 Plus the text "Minnie" with a polka dot bow to accent her name. The toe of the shoe is covered with silver glitter. There is a textured, anti-skid, non-marking rubber sole accented with a pink stripe. The sheer ribbon shoelaces are laced through matching pink eyelets. 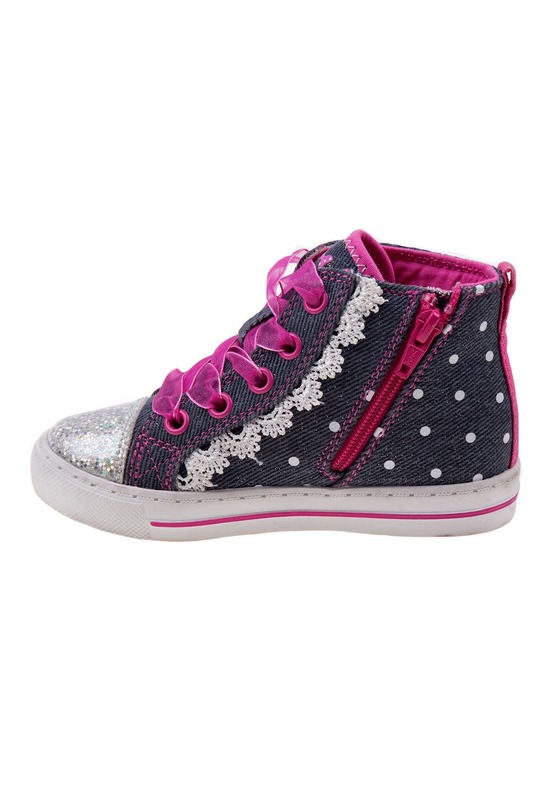 These sneakers are easy for your little one to take off and on even if they have not learned to tie their shoes yet. 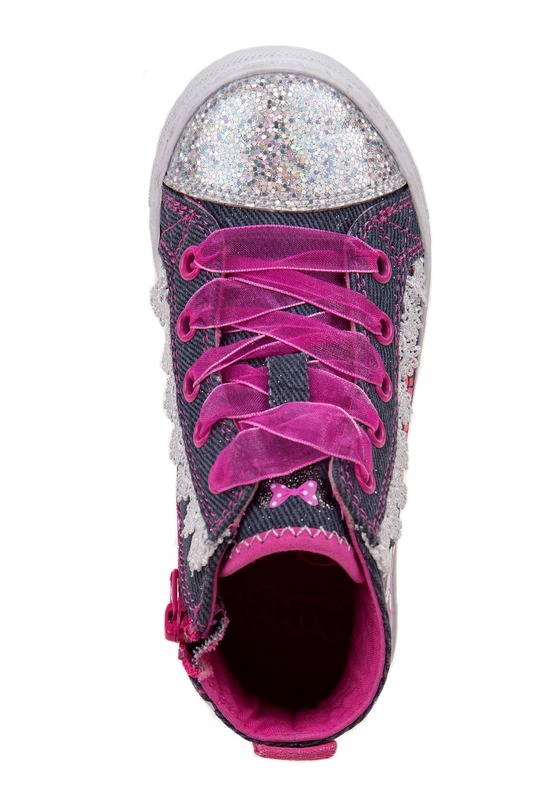 The inside of each sneaker has a pink zipper and white polka dots, plus more lace! 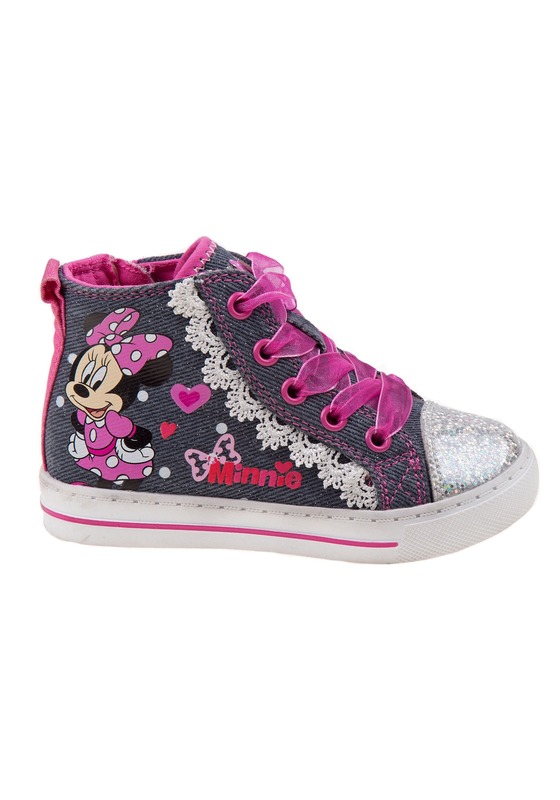 We sure think that your little one is going to love running around in these officially licensed Disney Minnie Mouse high top girls sneakers. 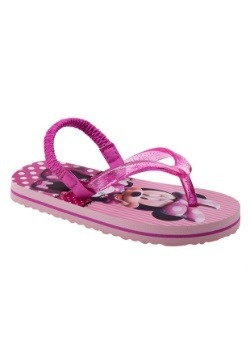 You could even get her some other Minnie Mouse clothes and accessories to go along with these snazzy sneaks. Minnie Mouse told us that she certainly approves of that happy plan! 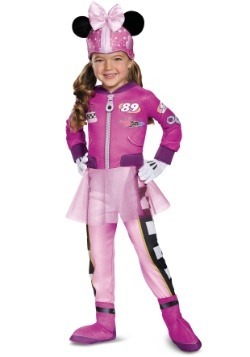 Size 7 - $26.49 Size 8 - $29.99 Size 10 - $29.99 Only 5 left! Size 12 - $29.99 Only 1 left!